Using pedal power to get around is a great way to save time and money on your commute, but fear of losing a bike to thieves can be a deterrent. A 2013 survey carried out by LV= Home Insurance found that one on five bike owners is a victim of cycle theft and that the average owner had there’s for 23 months before it was stolen. This might sound like grim reading, but it doesn’t have to be that way. Police reports state that a high proportion of stolen bikes are left insecure. You can greatly improve your chances of coming back to your bike as you left it by making sure you lock it properly. Many cyclists choose light weight cable locks because they are easier to transport. However, bolt clippers can slice through some of these easily. The best form of defence is to use a D-lock to secure your frame to an immovable object, and then combine this with a cable lock threaded through the wheels to keep them secure. Try to make sure the cable is tight, so there is little room for leverage, and never leave the bulk of the lock lying on the ground, where it can be easily smashed. It’s generally advised that you should spend 10% of the value of your bike on the lock. UK locks are rated on the Sold Secure system, either Bronze, Silver or Gold. For heavy protection, go for ‘Gold’, and if your bike is insured which class you must use may be in the terms and conditions. If carrying a hefty lock isn’t your style, there are options for you. Firstly, you can think about having one at home, and one at work, or in a place you usually cycle to. Clearly this needs to be on a proper bike rack to avoid being antisocial, but it’s an accepted behaviour where there are storage areas and ample bike parking. If you can do this, it means you can simply leave the D-lock there, and carry just a cable lock. 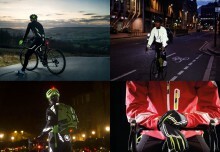 If you can’t to do, an ingenious start-up company called Hiplok have come up with a solution – the wearable bike chain. 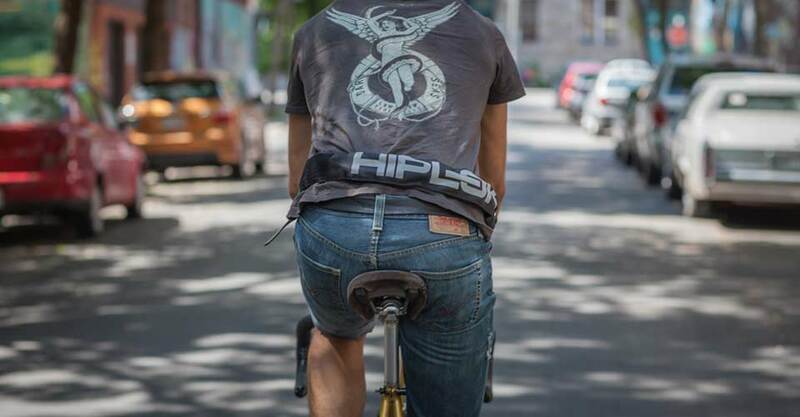 Hiplok’s are secure chain locks that can be worn around the waist whilst you ride. Soft material covers the metal, so they aren’t uncomfortable, and arriving at your location you can simply remove and apply to your bike. Be cautious about where you choose to lock up. Look out for CCTV which will detract thieves as well as increasing your chances of catching them should you be very unlucky. Somewhere well lit and populated, with constant passing people traffic is good, as well. 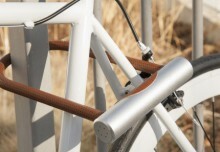 Your best off finding a purpose built bike rack, but a sturdy parking meter or lamp post will suffice. Don’t be tempted to go for small trees, aluminium or wood posts, or chain link fences – these will be easily cut through. There is nothing more infuriating than being greeted after a long day with a missing bike light, or even wheel if you’re unlucky. 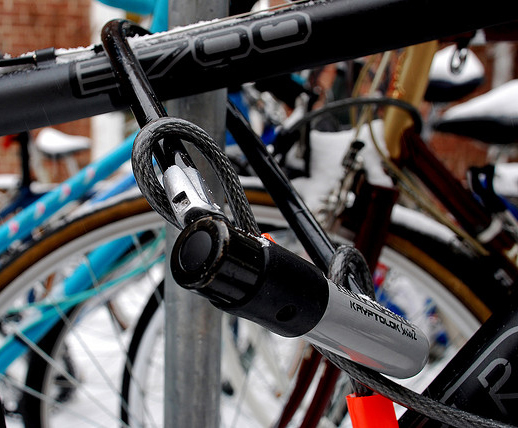 Wheels should be locked securely either with separate D-locks, or using a cable lock. 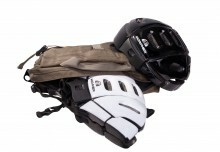 Accessories which you can carry to your desk or pop in your handbag, such as lights and cycle computers shouldn’t be left on the bike, as they’re easy pickings and could leave you with a hole in your wallet or a tricky journey home. No thief wants to be caught, and getting your bike logged with Bikeregister, the police approved cycle database, means that if your bike is stolen, it’s logged and can be returned. 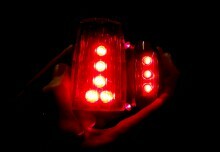 To do this, just log on at www.bikeregister.com and follow the instructions. This alone won’t act as a deterrent, but letting potential thieves know the bike is marked makes it a less attractive steal. 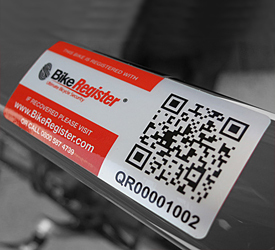 Bikeregister have a range of products, including durable QR code labels that you can add to your frame, both as an identification tool, and a warning. Whatever the cash value of your bike, it is likely it means more to you than pounds and pennies– be that the time it saves you, the joy you get from it, or the fact you couldn’t get about without it. Bike theft is an unfortunate part of urban riding, but it doesn’t have to be – so keep your cycle safe and keep riding.